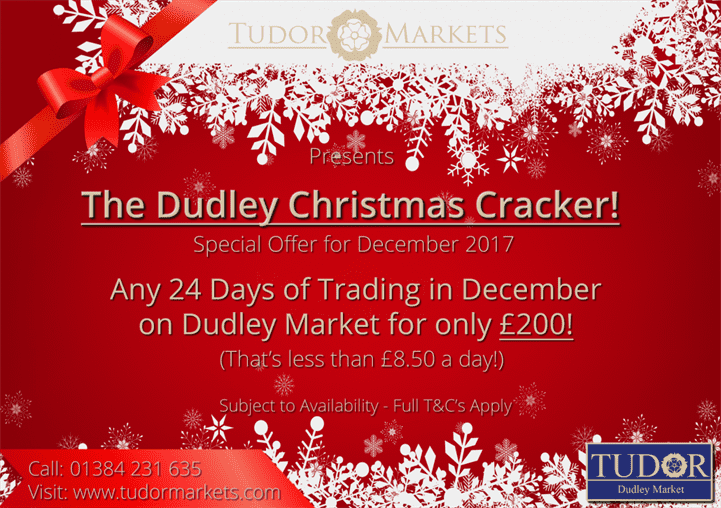 Tudor Markets are pleased to announce their FIRST ever Dudley’s Christmas Cracker! Come and join the festivities with us at the Dudley Market, open to all the public for fun and festive spirit! Looking to trade at this event? Any 24 day’s trading in December for Dudley Market for £200! Tudor Markets are offering one low fee for all 24 days trading through the event of December, £200!